I have been back home in Seattle for the past week, and while I often feel that life in Chalten is very busy, life in Seattle is busier yet. After missing all of the Northern Hemisphere winter I have been out skiing almost every day - the thing I miss most during extended stays in Patagonia. 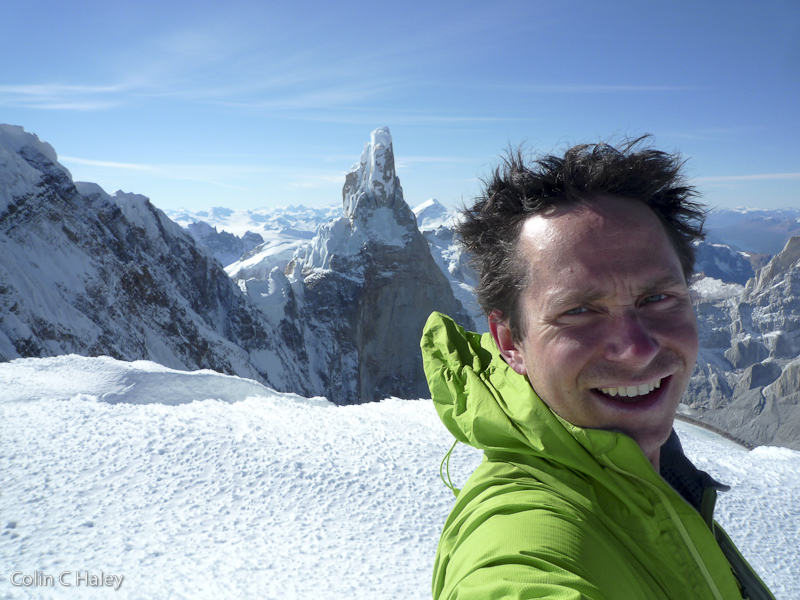 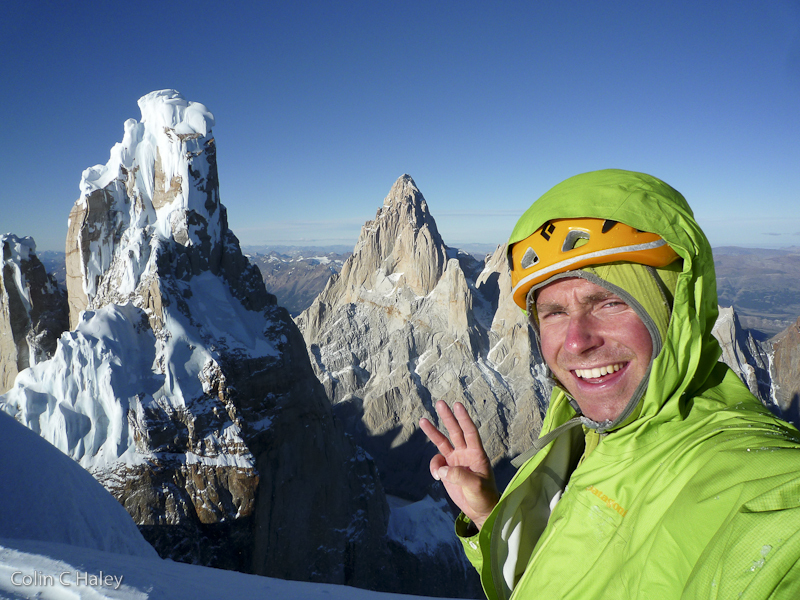 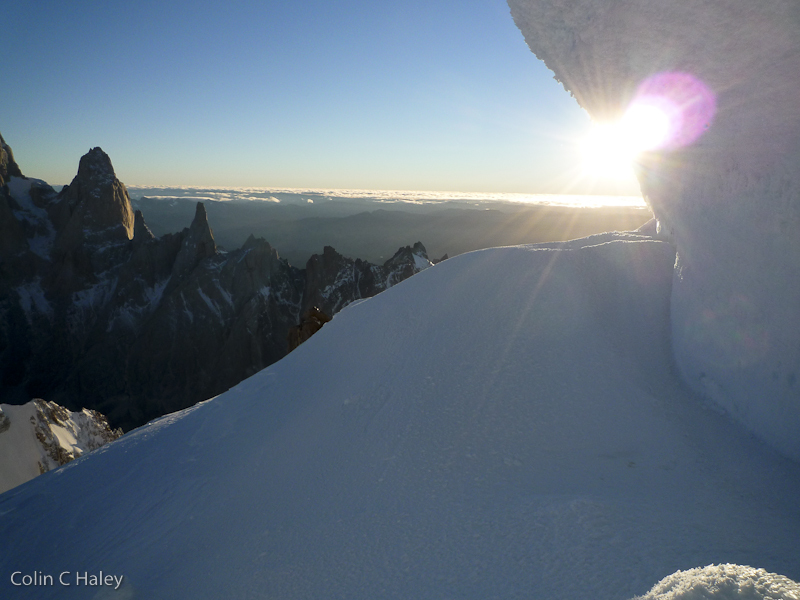 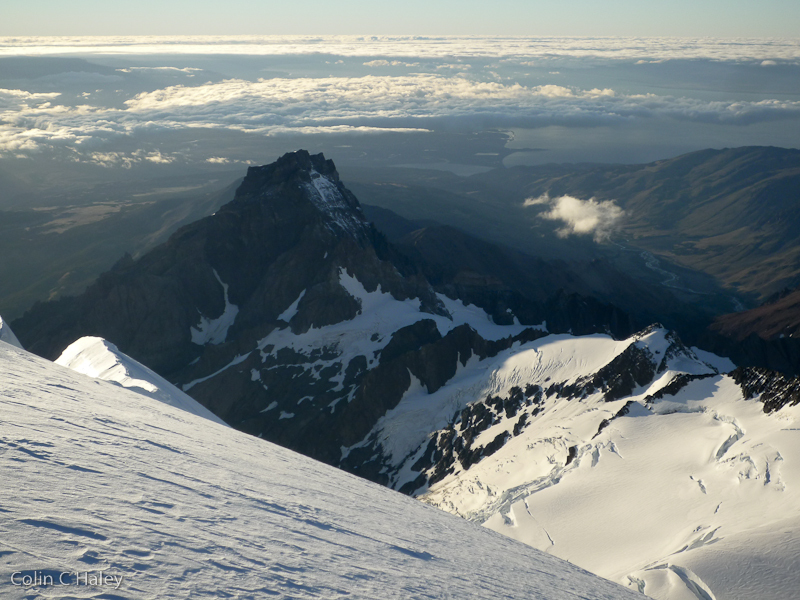 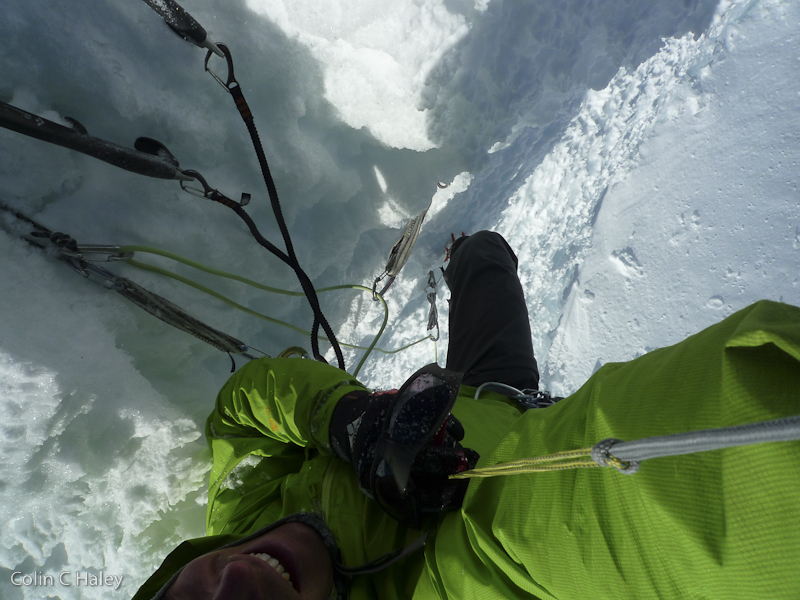 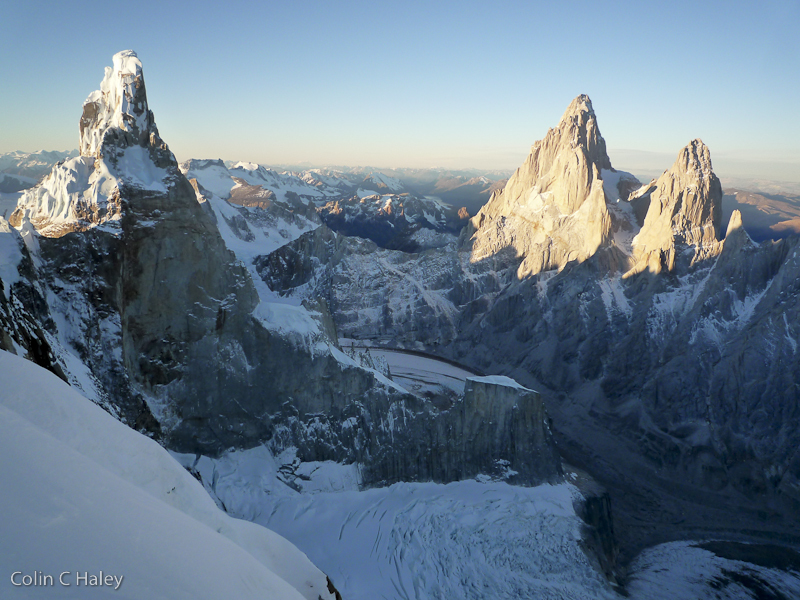 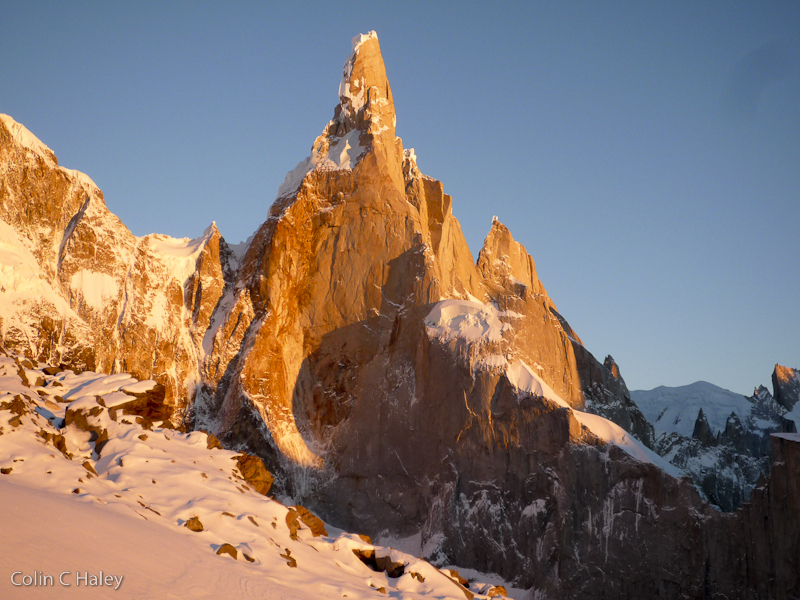 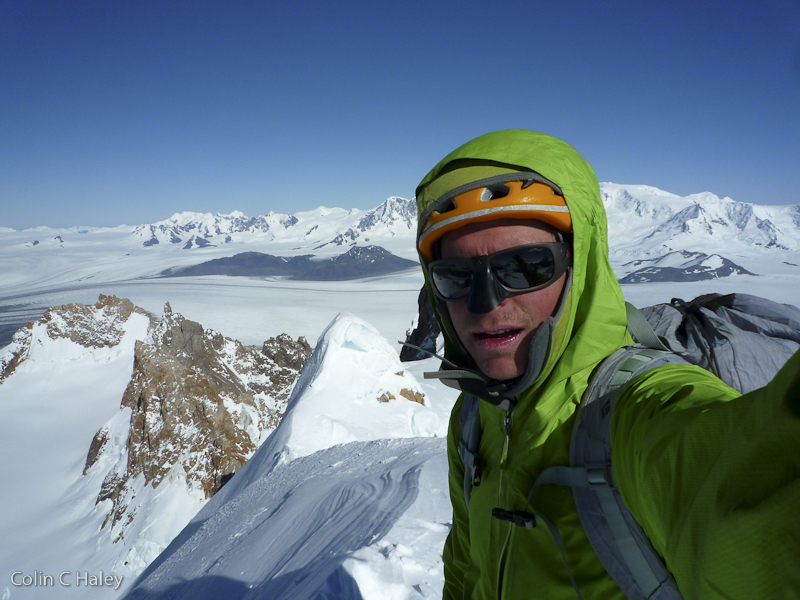 Thus, it has taken me some time to finally write about my last climb of the 2012-2013 Patagonia season. There was an exceptionally good weather window during my last week in Chalten. 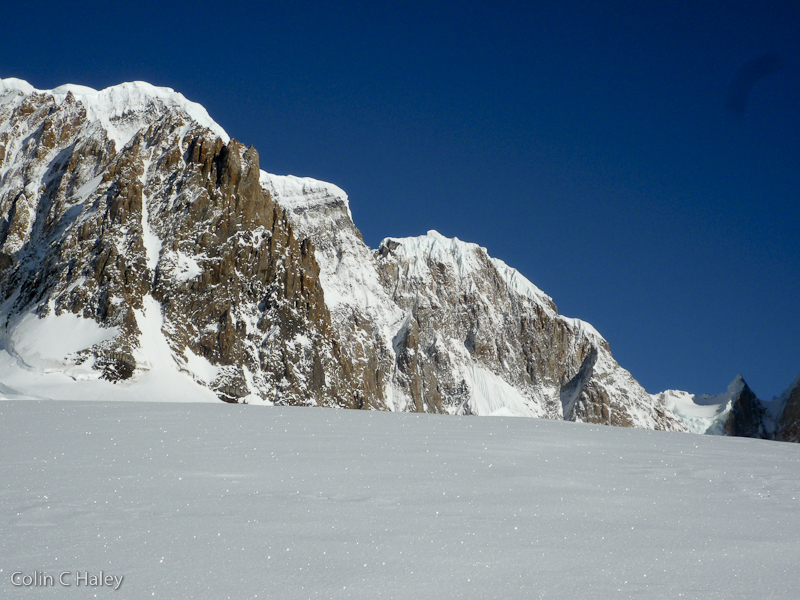 However, rock routes were fairly snowed up, temperatures were chilly, and by mid March the nights are pretty long and cold. 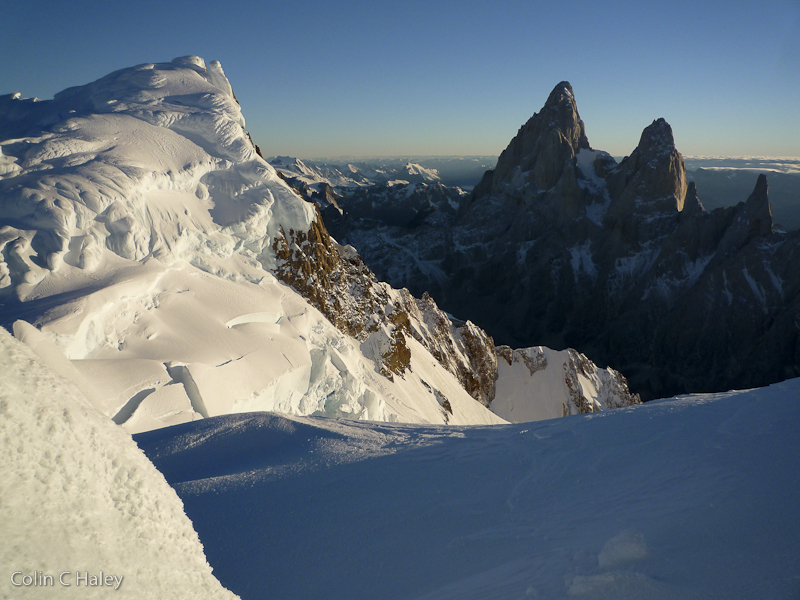 Sarah had a cold, so I headed by myself to the Adela Peaks, which I have always wanted to try, and seemed to fit the conditions well. I hiked into Niponino on March 11th. 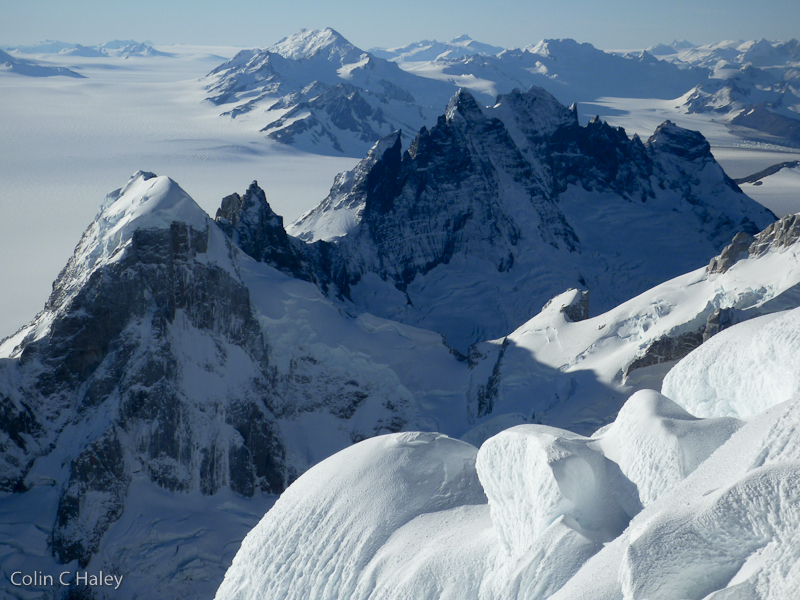 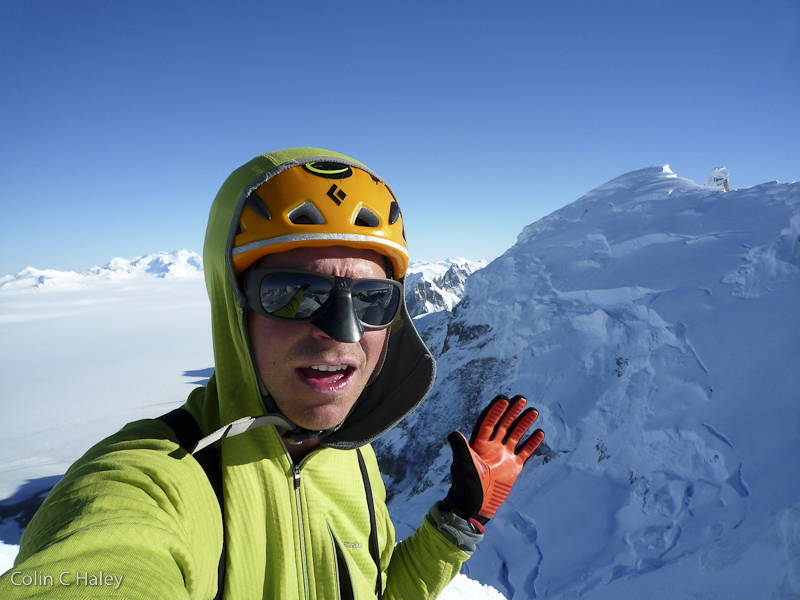 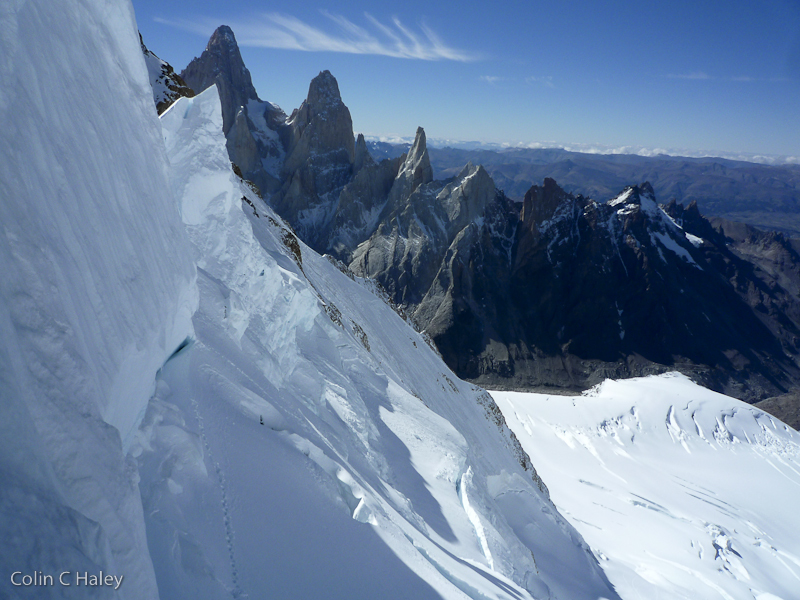 On the 12th I slept in, and then took a leisurely second approach day, scrambling up the large buttress that separates the Glaciar Adela and Glaciar Grande Superior (and is essentially an extension of the east ridge of Cerro Adela Sur). 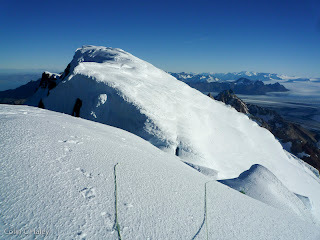 I bivied on the top of this buttress, and on March 13 I started hiking up the Glaciar Grande Superior towards Col Trento. 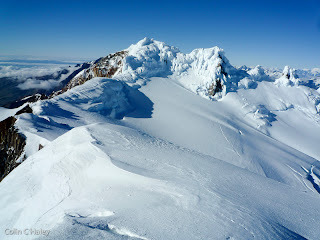 In mid March the fresh snow does not consolidate as quickly as in mid-summer, and I quickly found myself post-holing through the snow from the last storm. 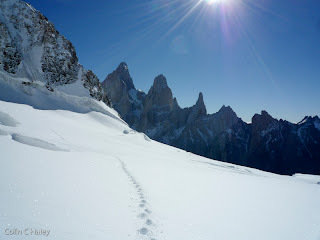 When I had finally made it across the glacier, I started up the east slopes of Col Trento. 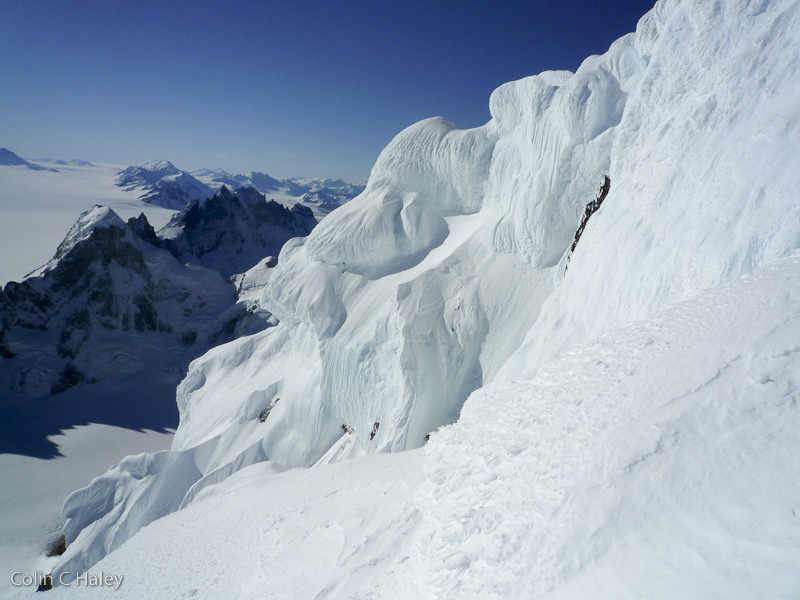 This icefall turned out to be much more complicated and time-consuming than I had anticipated, and also the serac hazard on the lower portion was more severe than it had looked from far away - I will definitely try to avoid this icefall in the future! At the Col Trento I took a brew stop, and then left my bivouac equipment there while I took off to tackle Cerro Adela. 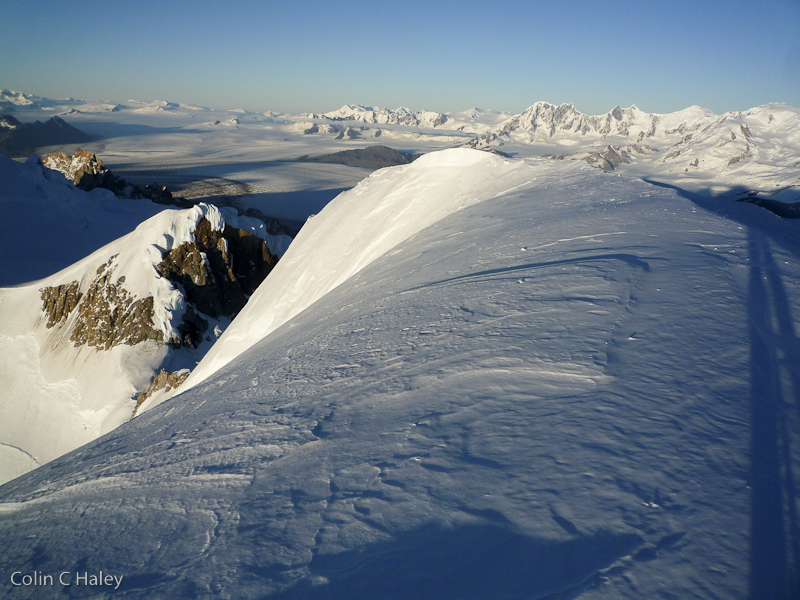 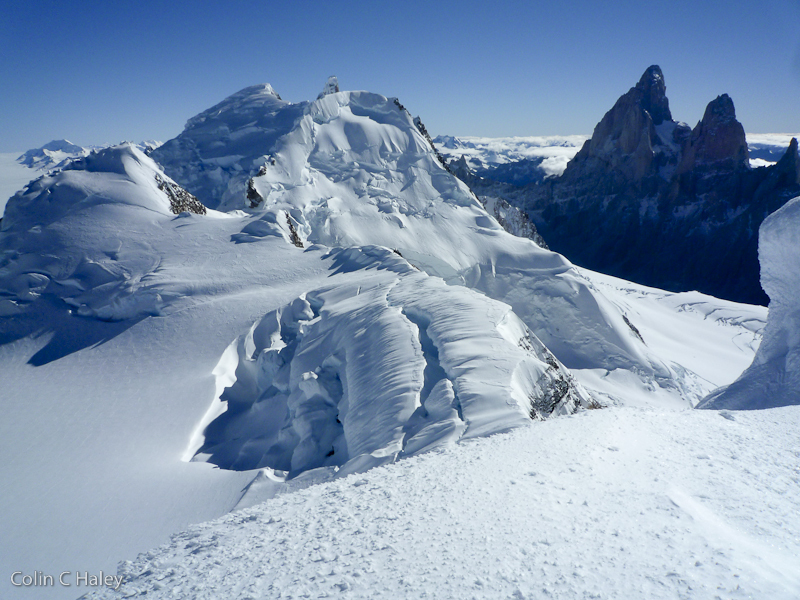 The north-south ridges of Cerro Adela were wind-swept, and the good snow conditions were a relief after all the toil up to the Col Trento. 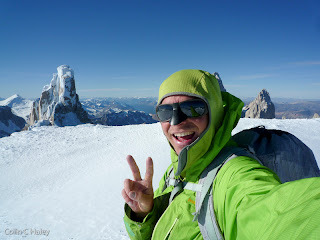 It had taken me over six hours to reach Col Trento, and then it took me only an hour and a half from Col Trento to reach all three summits of Cerro Adela - confirmation that, as always, conditions make all the difference. Cerro Adela Sur and Cerro Adela Central were both quite easy, but with cool ambiance, sneaking through a maze of rime mushrooms. 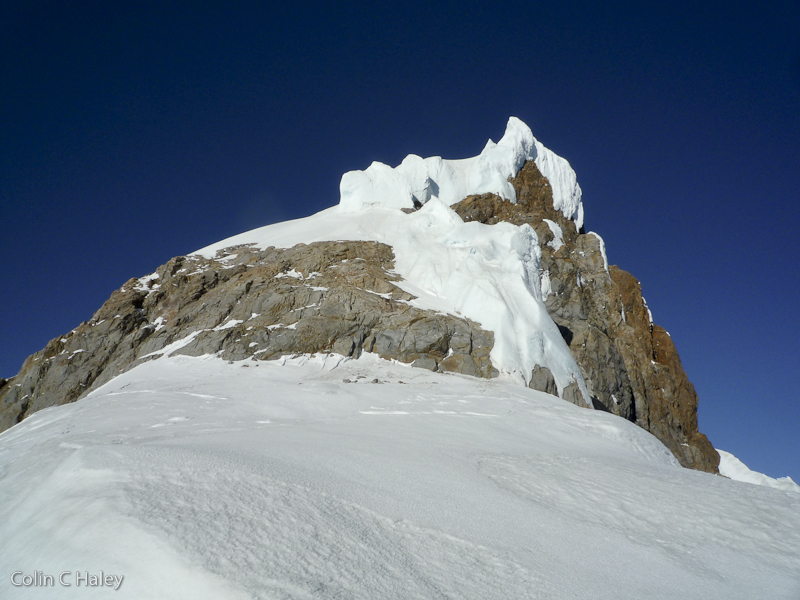 Cerro Adela Norte would have also been quite easy, except for one unavoidable step of steep climbing just below the summit - a 6 meter step of vertical to overhanging ice and snow-ice, the last couple meters of which I aided off of ice screws and a snow picket. 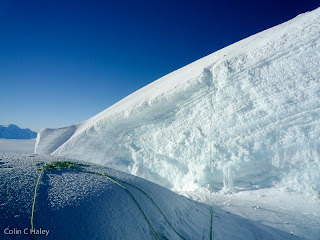 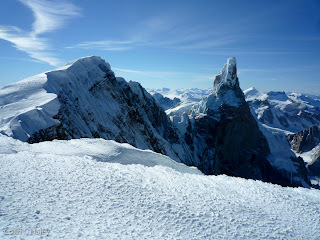 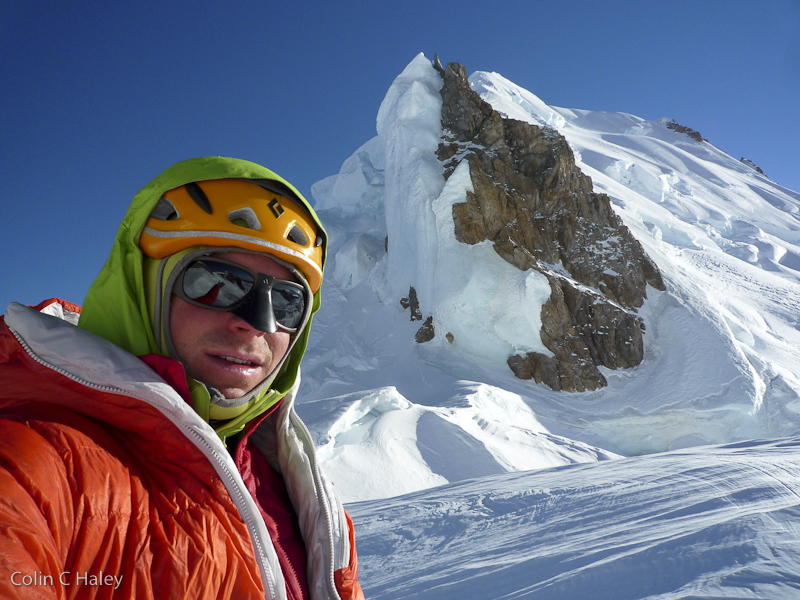 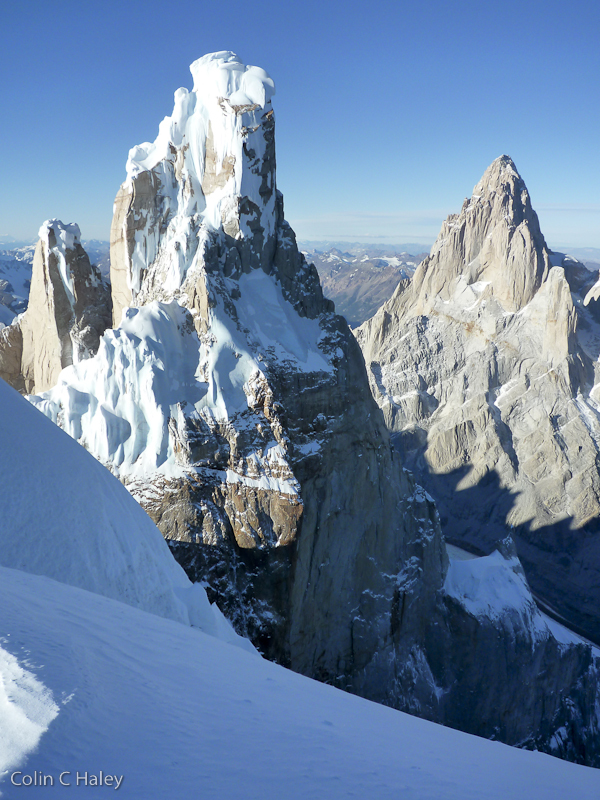 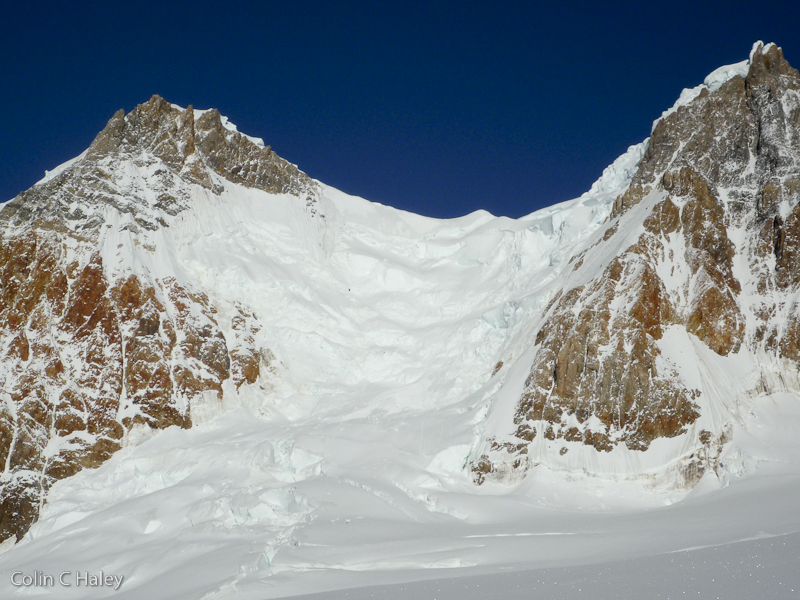 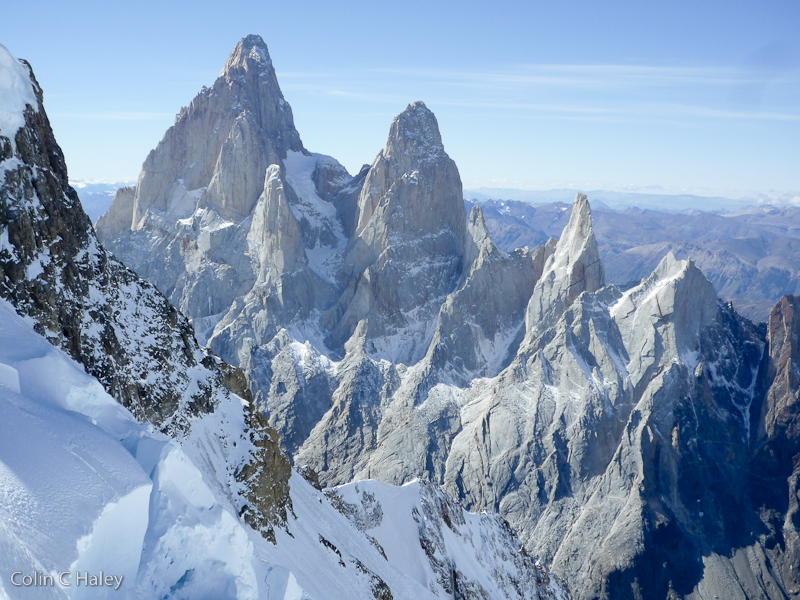 I think my visit of Cerro Adela Norte might have been only the third ascent of this summit (the first in 1988 by Eduardo Brenner and Silvia FitzPatrick, and the second just last season by Max O'Dell, Agustin Raselli and Juan Raselli). 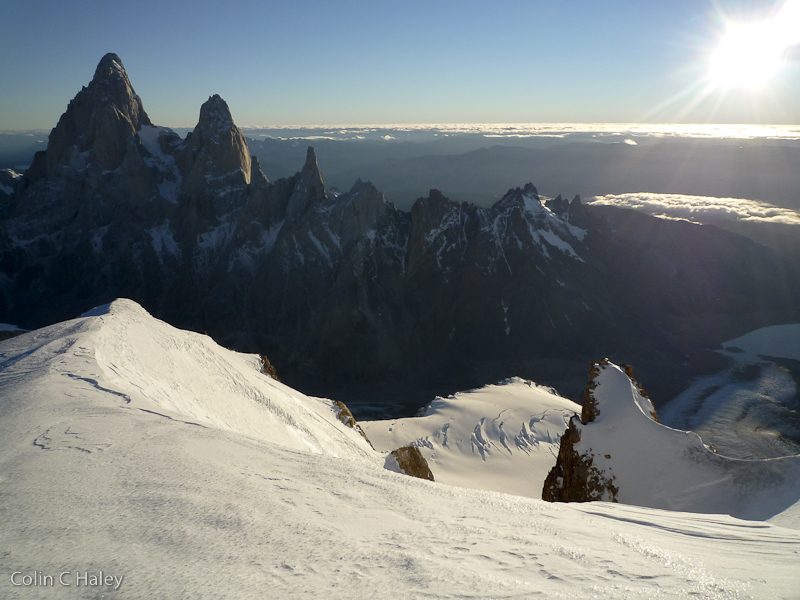 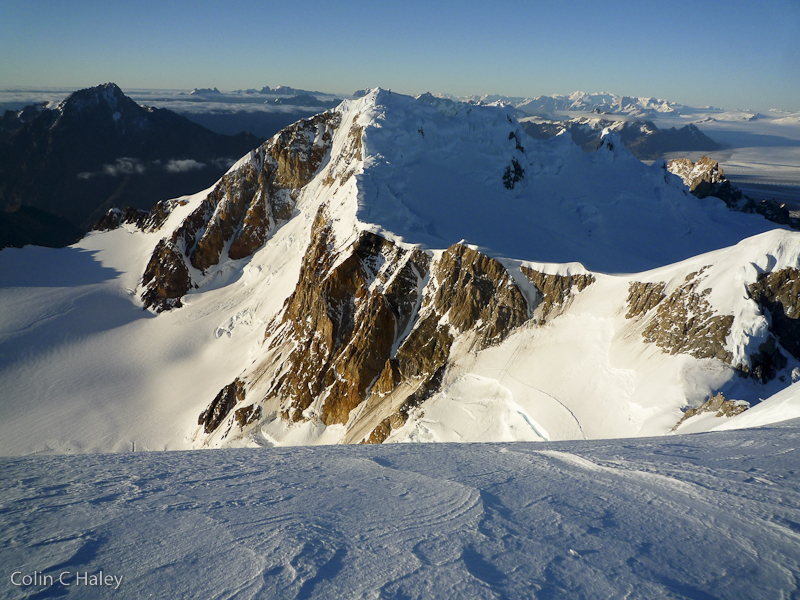 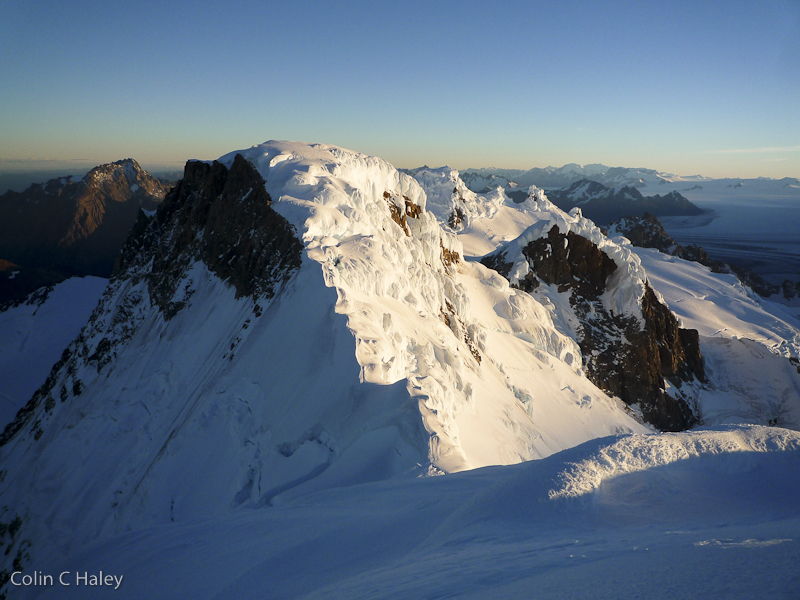 I re-traced my steps over Adela Central and Adela Sur in the evening light, grabbed my bivouac equipment at Col Trento, and then climbed part-way up the north ridge of Cerro El Ñato, to a nice bivouac spot shortly below the summit. 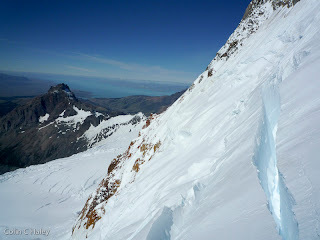 On the 14th, after another uncomfortably cold bivouac, I climbed the remainder of Cerro El Ñato's north ridge, then descended the southeast ridge to Col Doblado. I climbed Cerro El Doblado via the north ridge, and descended the south side towards Cerro Grande. 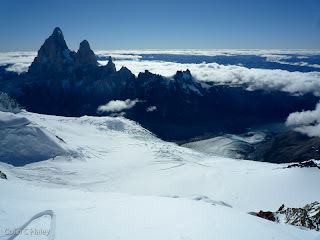 While traversing to Cerro Grande I climbed Punta Paganella by accident, which is a bump so small that it is cute to be named. I climbed Cerro Grande via the north ridge, unfortunately with all my equipment because I planned to descend the east ridge. 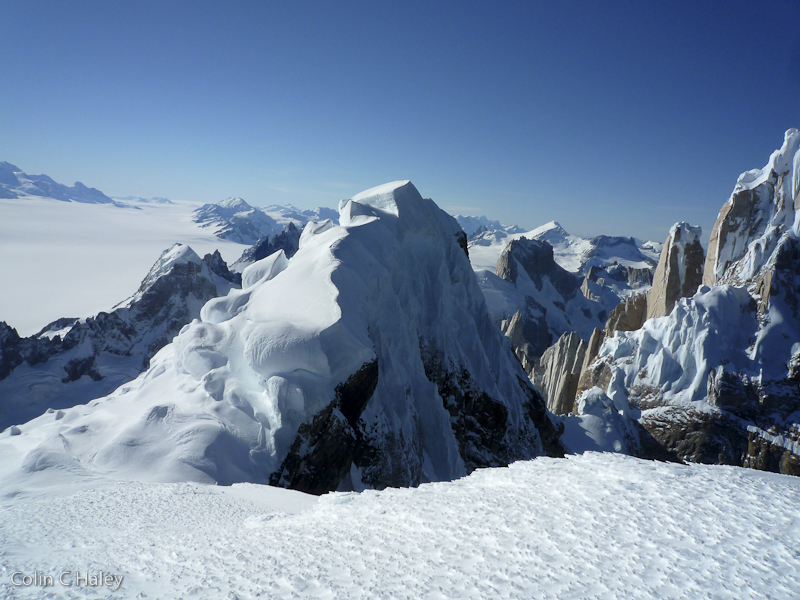 From the summit of Cerro Grande the upper east ridge didn't look very appealing to down-solo with a heavy pack, so instead I re-traced my route back down the north ridge. 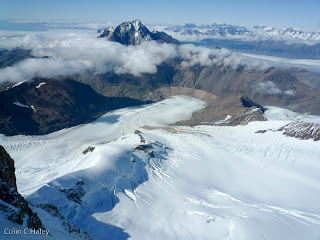 I descended back down to Glaciar Grande Superior from the col between Punta Paganella and Cerro El Doblado. 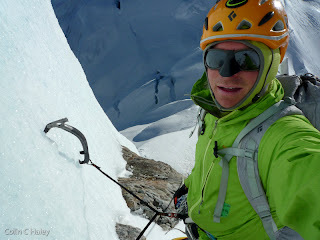 Once back down on the glacier I resumed my post-holing exercises, and slogged across the glacier to the top of the same rock buttress I had used on the approach. 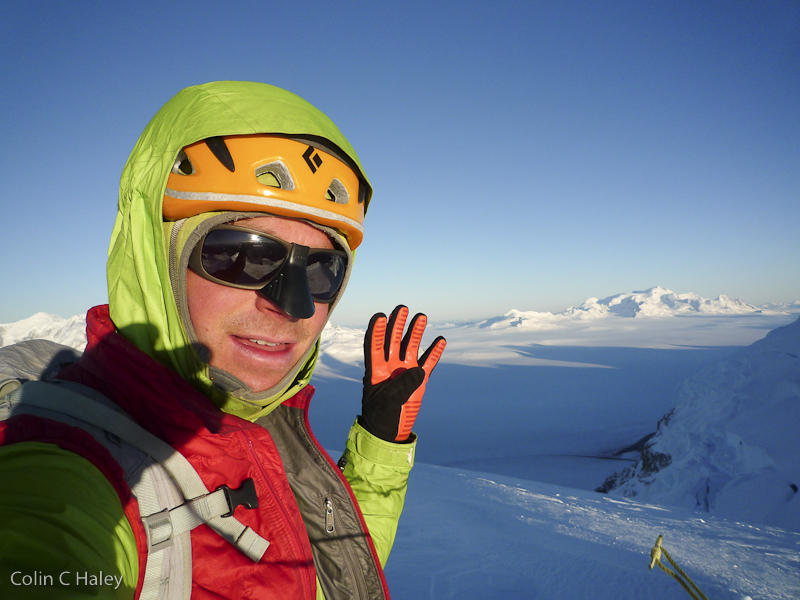 I scrambled back down the rock buttress, returning to Niponino around 7pm. I was tired and it would soon be dark, but I had accidentally dropped my sunscreen while climbing up to the Col Trento, and I decided I would rather hike to town by headlamp than fry my face any more than it had been already. Hiking to town by headlamp turned out to be serene and enjoyable, with very bright stars overhead, and the bushes already covered in frost by 11pm. 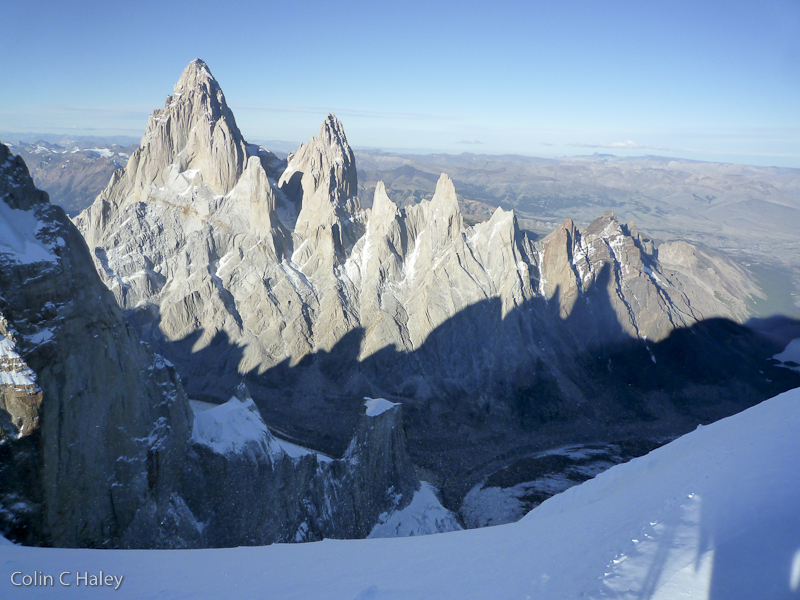 Traversing the Adela Peaks was not very technically difficult, but satisfying to visit a bunch of summits I had always wanted to, and a relaxed, scenic finish to a fantastic Patagonia season. 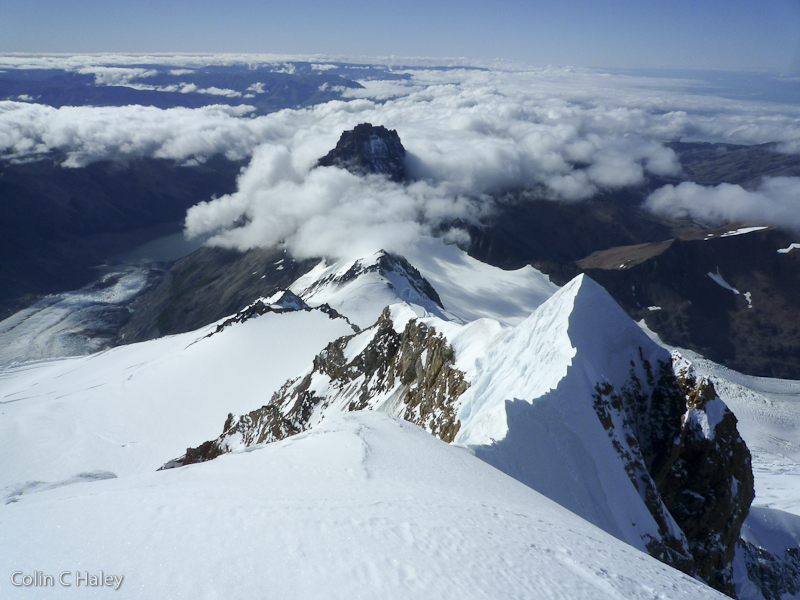 The views are exceptional from every summit along the ridge, and I would highly recommend this traverse, or some variation of it, to climbers who are experienced alpinists but aren't interested in the steep rock of the Torres or Fitz peaks.